DENVER: Natural Grocers, America's Nutrition Education ExpertSM, surveyed more than 70 of the company's nutrition experts and pored over the latest research to identify the expected top 10 breakout trends in nutrition and health in 2019. The author, Shelby Miller, Natural Grocers' Manager of Nutrition, Research and Education, pinpoints the most anticipated health, nutrition and food trends in the New Year. Interviews with Shelby Miller are available upon request. Download the high-res images for each trend. Five years ago, the buzzword was microbiome. This year it is mitochondria. Mitochondria are our cells' power plants, converting oxygen and food into the energy our body needs to stay alive and thrive. When your mitochondria are dysfunctional, not only will your energy reserve decrease, resulting in fatigue and brain fog, but you can also become vulnerable to degenerative diseases like heart disease, diabetes and neurodegenerative diseases. The best way to support healthy mitochondria function is to eat more fat! Healthy fat, that is. Mitochondria function at their best when fueled by fat, not carbs. One tool to support mitochondria is the trending ketogenic diet. In 2019, expect to hear more about mitochondrial health and look to see brands embracing more high-fat focused and ketogenic products to support optimal mitochondrial function. Try our trend: Test the benefits for yourself—roll your own keto energy bombs and make Natural Grocers brand coconut oil a staple in your pantry. Collagen and bone broth are easier than ever Scoop by healthy scoop, collagen has gained mainstream interest over the past year as everyone adds it to their smoothies, matchas and lattes in the quest for glowing skin, healthy joints and gut healing. In 2019, as more collagen and bone broth products enter the market, so will convenient opportunities for consumers to take collagen on a daily basis. Supplement companies will continue to offer an array of collagen products, including collagen powders, gummies and drinks; marine collagen powders; and even vegan-friendly collagen precursors. Bone broth is one of the richest food sources of collagen, and it will continue its expansion into the mainstream as well. Companies are looking for unique and simple ways for consumers to try out bone broth, including bone broth protein bars, pre-made soups and even bone-broth infused coffee! Try our trend: Bonafide Provisions offers pure bone broths made from grass-fed and pasture-raised bones. Try a thermos of hot bone broth to warm up on a cold winter day. In 2019, consumers will continue to become aware of how much sugar is insidiously added to almost everything we eat. Look in your pantry and refrigerator and you're likely to find the major culprits— ketchup, barbecue sauce, flavored yogurts, coffee creamers, chips, breads, cereals, spaghetti sauce, fruit juice, sports drinks and even bacon! This year, learn how to break up with sugar. Once you become a savvy monitor of added sugar, it will become easier to for you to avoid it and enjoy the health benefits you're bound to experience. Try our trend: You'll find no added sugar in the new Natural Grocers' brand pasta sauce,Pederson's Natural Farm's No Sugar Hickory Smoked Bacon and Birch Benders' Paleo Frozen toaster waffles. Try our trend: Rebbl drinks continue to fly off the shelves with reishi chocolate (a drinkable dark chocolate with a mushroom upgrade) and reishi cold brew - mushroom powered coffee! 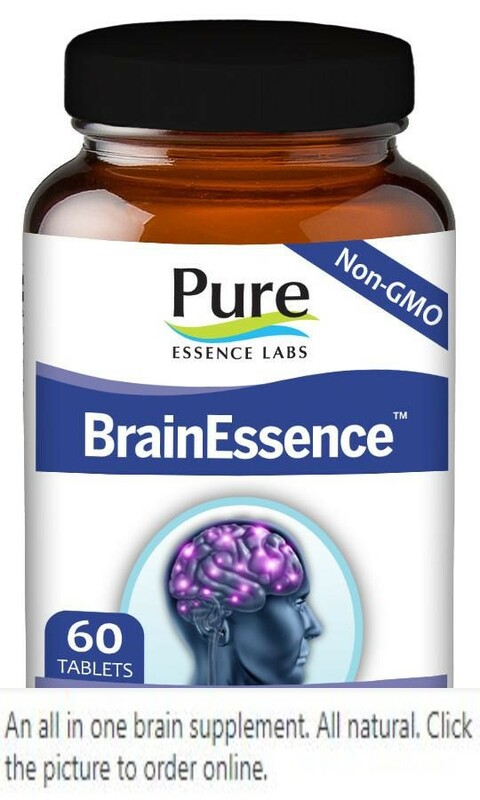 Try our trend: Himalaya Bacopa and Country Life's Sharp Thought contain nutrients that support cognition, memory, attention, a calm mood and more! We will see companies meet the demands of consumers who want to swap their use of over-the-counter (OTC) meds and prescription drugs for natural remedies that support the body in healing. Instead of opening the medicine cabinet, people will use a combination of lifestyle choices, herbal remedies and vitamin supplementation to support the body in times of discomfort. Immune support remedies like mushrooms, elderberry, manuka honey throat sprays and natural zinc lozenges will dominate. Additionally, we'll see more alternatives to common OTC remedies and prescription drugs for digestive discomfort and general pain management. 2019 will be the year of supporting the structure and function of the body in a multitude of ways with beneficial natural remedies. Try our trend: Our customers' favorite natural remedies include Gaia Herbs' elderberry syrup and Manuka Guard's manuka honey throat and chest syrup. A recent study revealed that the products we slather on our bodies daily, like shampoo and deodorant, can create plumes of petrochemical emissions. The researchers, who originally set out to record emissions around the city of Boulder, Colorado, discovered strange spikes in the data, especially during the morning commute, that weren't coming from cars. Instead, the compounds were from personal care products that emit D5 siloxane, a chemical emollient found in certain body care products. That's right, your deodorant and lotion are potentially as toxic as your vehicle's tailpipe! Consumers are becoming more aware about the slew of chemicals that come from body care products, including ubiquitous endocrine disruptors, and are looking for products with ingredient lists that don't require a chemistry degree to understand. In 2019, expect companies to offer a wide variety of clean body care products with simple, natural ingredients that work! Try our trend: To participate in the green beauty craze, try Dr. Bronner's sugar soaps and body lotions, Thayer's Witch Hazel Rose Water Toner and Lone deodorant. Try our trend: Ah Cacao chocolate bars offer a different kind of indulgence, with just a few simple ingredients — and Natural Grocers is the only place in the U.S. where you will find them. Simple Mills Fine Ground Sea Salt Almond Flour Crackers are a favorite with a simple ingredient list that carries a nut and seed flour blend, tapioca, cassava, organic sunflower oil, salt and herbs. Blue light—from our smart phones, tablets, computers, TVs and even light bulbs—has become ever-present, and a growing body of research is showing that all of this blue-light exposure can damage the retina of the eye and can lead to age-related macular degeneration1 (i.e., the leading cause of blindness in older adults).i Excessive blue light also disrupts the circadian rhythm, which plays many roles in health, including regulating the sleep-wake cycle, hormone balance, digestion and body temperature.2 Enter lutein. Lutein preferentially accumulates in the macula, the part of the retina responsible for central vision, where it filters damaging blue light and increases macular pigment density.3 And because the health of the retina is directly related to how well our brains age,ii lutein also benefits the brain (see nootropics above). In 2019, lutein will solidify its role as protector of the eyes and the brain. Try our trend: Try Jarrow Formulas Lutein, it supports visual function and macular health! Try our trend: Try Natural Grocers brand Milk Thistle to support detoxification, healthy levels of fat in the liver and overall liver health! Bonus trend - The trend to know about! This year, we did things a little differently and added a bonus trend—a trend so important we think everyone should know about it. As we begin to see the real-time effects of climate change unfold before our eyes, we think it is a crucially important issue to not only discuss, but to actively work to find solutions to. Try our trend: We strongly believe that our food choices have the potential to affect real change, and one of the most measurable ways to support the health of the planet is to support farmers practicing holistic land management, like Thousand Hills. Try their ground beef and other products, which are available in our stores! At Natural Grocers, we have advocated for health and wellness since we started way back in 1955—health and wellness for individuals, our communities and the planet. Part of that advocating means keeping our finger on the pulse of the next big things in wellness; those things that will serve our customers, our communities and our planet. 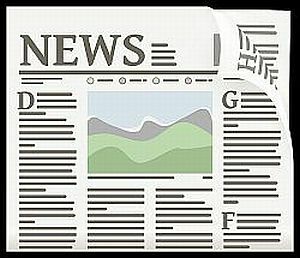 DENVER, Dec. 4, 2018 /PRNewswire/ -- Natural Grocers, America's Nutrition Education ExpertSM, surveyed more than 70 of the company's nutrition experts and pored over the latest research to identify the expected top 10 breakout trends in nutrition and health in 2019. Five years ago, the buzzword was microbiome. This year it is mitochondria. Mitochondria are our cells' "power plants," converting oxygen and food into the energy our body needs to stay alive and thrive. When your mitochondria are dysfunctional, not only will your energy reserve decrease, resulting in fatigue and brain fog, but you can also become vulnerable to degenerative diseases like heart disease, diabetes and neurodegenerative diseases. The best way to support healthy mitochondria function is to eat more fat! Healthy fat, that is. Mitochondria function at their best when fueled by fat, not carbs. One tool to support mitochondria is the trending ketogenic diet. In 2019, expect to hear more about mitochondrial health and look to see brands embracing more high-fat focused and ketogenic products to support optimal mitochondrial function. 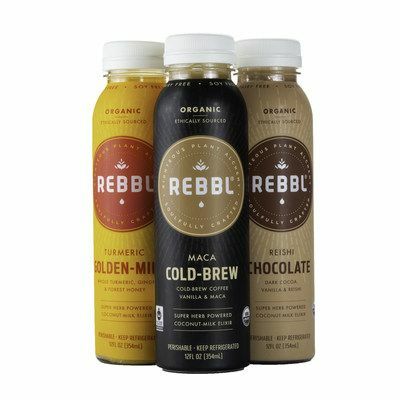 Try our trend: Rebbl drinks continue to fly off the shelves with reishi chocolate (a drinkable dark chocolate with a mushroom upgrade) and reishi cold brew – mushroom powered coffee! Bonus trend – The trend to know about! Shelby Miller graduated from Iowa State University with a Bachelor and Master of Science degrees in Dietetics and Exercise Science. Her graduate research concerned the influence of gut bacteria on pediatric obesity. Shelby is the Nutrition, Research and Education Manager for Natural Grocers.